Last week Thursday, the Granman of the Wajana’s, Nuwahe Aptuk, his wife and an elder from the church of Apetina flew to Paramaribo. On the same day, Ivan and Doris Schoen arrived from the USA. Ivan and Doris are the first missionaries among the Wajanas. They put the grammar and language of the Wajanas in writing in the sixties. In addition, Ivan translated almost all the books of the Bible into the Wajana language. He is now eighty-six. He and his wife have now returned to Paramaribo to correct the four last books recently translated by him from the Old Testament together with three Wajana language helpers. Nuwahe was also Ivan’s language helper in the sixties. Now they can work together again on the completion of the remaining books. How faithful God has been that these men still can work to complete God’s word in the Wajana language. We are deeply impressed. The Easter conference has been one big celebration! Six canoes with about 80 people came over from Tepu and Palumeu. A lot of young families. 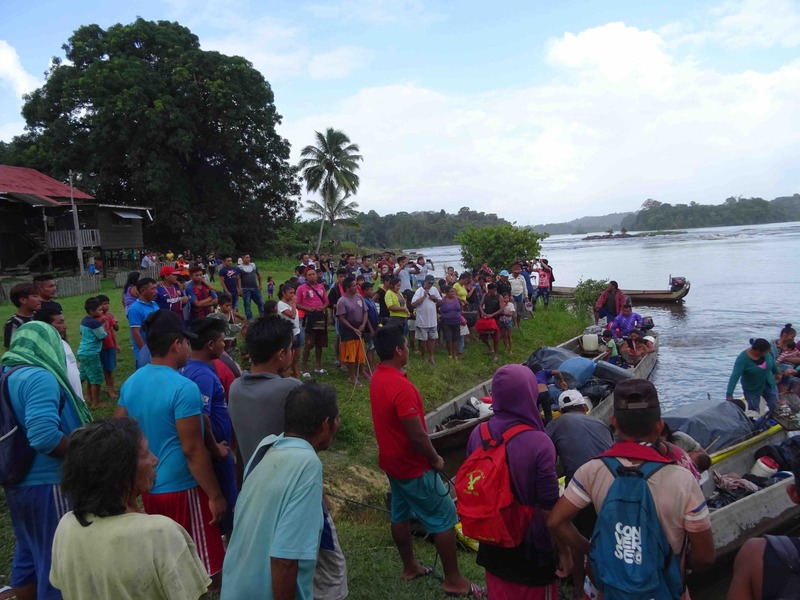 In addition, two canoes and three MAF planes with people from the villages around Lawa came over. Many young people came along with them too. This time the elders decided to ask all speakers to present a portion of Pauls letter to the Ephesians. This turned out as a beautiful palette of various messages by the Trio- and Wajana leaders. The atmosphere in the village was great. Eating together, in the evening a movie and of course there was a lot of singing. New songs were presented from all villages. These were all recorded by the audience on their mobile phones. A special feature was the screening of a video produced by the mission group from Lawa in 2016 of their trip to Brazil. For the first time a video report in which everyone got a wonderful picture of this trip. You bet that this motivated many to take part next time. 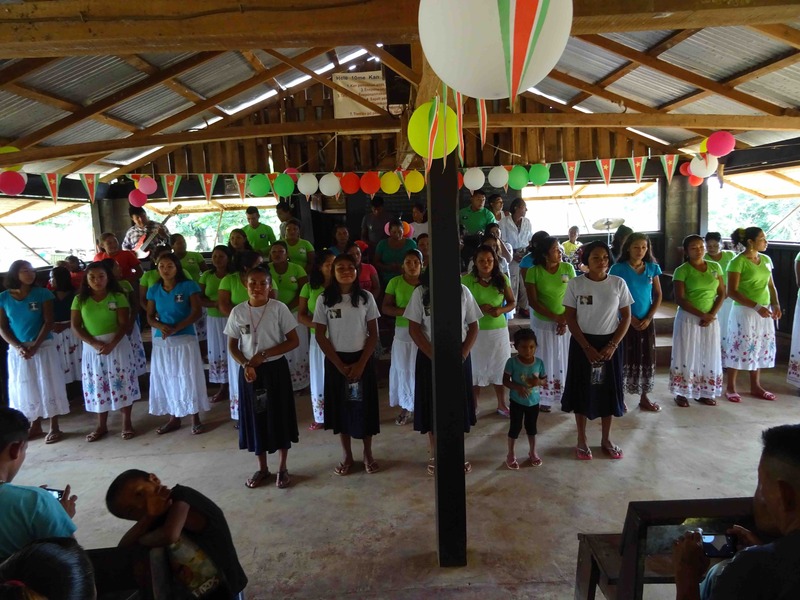 Last week Tuesday the Bible school for the Indigenous started. 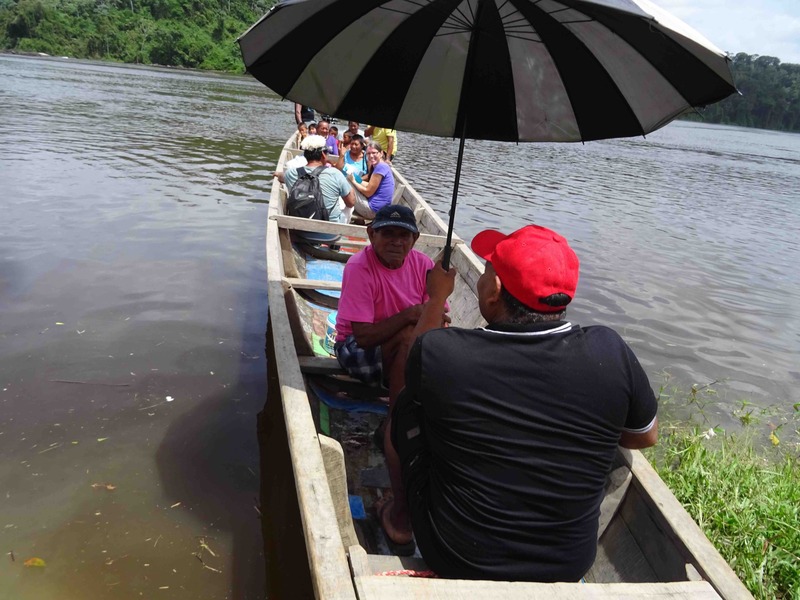 It was quite challenging in terms of logistics because of the rainy season in Suriname. Could the MAF land her aircrafts on all airstrips to pick up the students? It all succeeded and the elders are now studying in How to Study the Bible. Lessons are given in the Surinamese language, followed by translation in Trio and Wajana. We are curious to learn how the leaders experienced this training. We have to be patient, because when they come back, we are in Paramaribo to fly to Trinidad and Tobago for a conference of World Team. There we hope to meet our colleagues who also work in the Americas. Together we hope to learn more about handling conficts in different cultures. Nice letter and pictures! 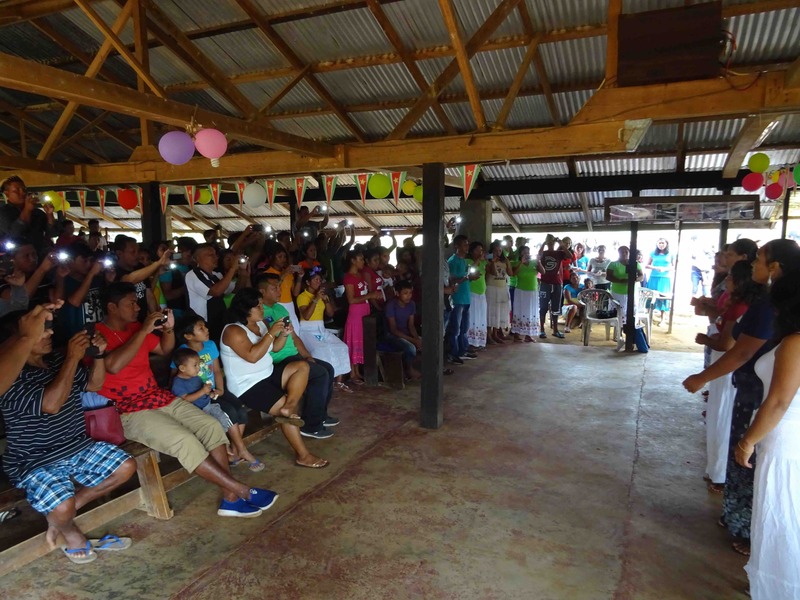 How wonderful we were able to see you again, and praise God for all He continues to do in Suriname interior. We will continue to pray. I have to thank Alice Nichols for this letter! Buddy was an MAF pilot in Suriname in the seventies. for the program and flight following and some hospitality. We were one of three families serving there at that time. 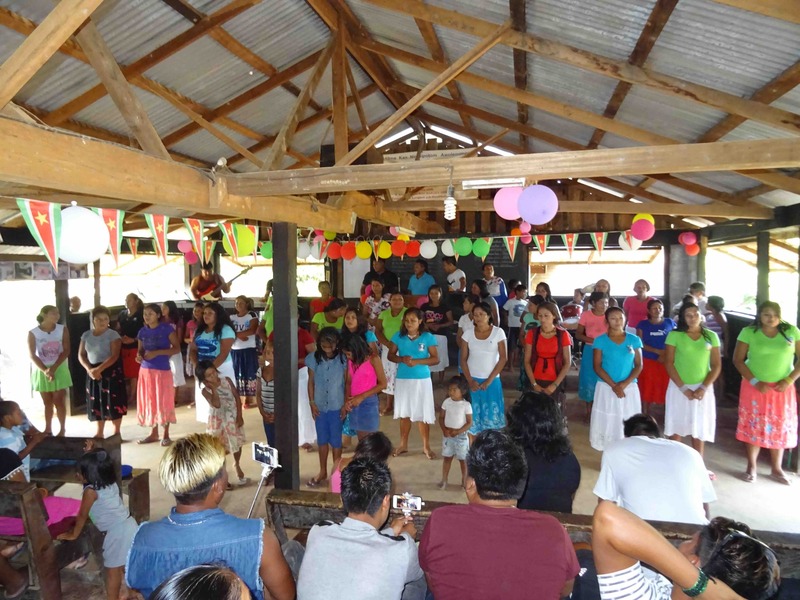 work of the Lord in Suriname! Welcome on our website. 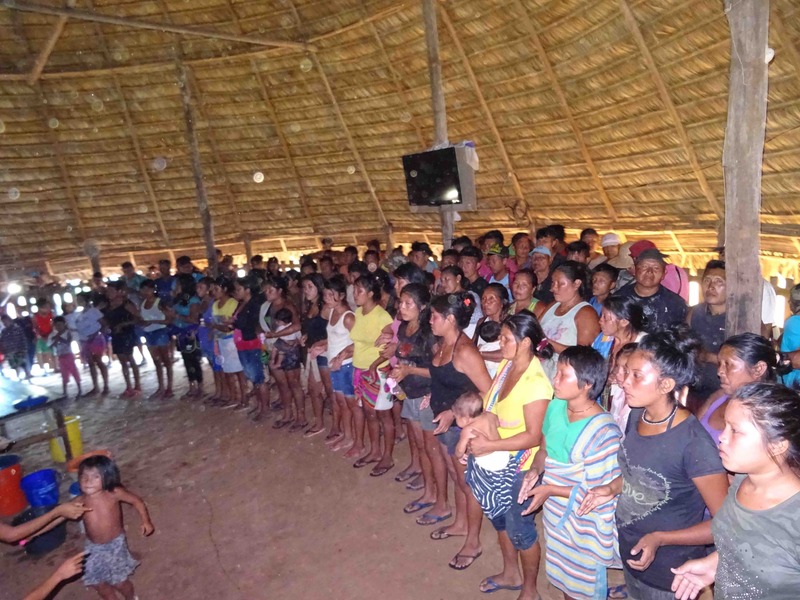 We want to keep you informed about our life and ministry with the Wajana indians in Suriname.